ALLRUSSIAS - "All Power to the Soviets"
"All Power the the Soviets"
The point is to make the task clear to the Party. The present task must be an armed uprising in Petrograd and Moscow (with its region), the seizing of power and the overthrow of the government. History will not forgive us if we do not assume power now. However, the party’s Central Committee was not yet totally convinced by Lenin’s arguments about the timing of the insurrection. The lessons of the failed ‘July uprising’, which had let to the suppression of the Party and arrests of its activists, were still fresh in the minds of the leading Bolsheviks and now made them more cautious. Moreover, some of the Bolshevik leaders had serious doubts about the European proletariat’s readiness to support a socialist breakthrough in Russia by rising in an ‘international proletarian revolution’. Indeed, they were unsure even of their support among Petrograd workers. Two members of the Bolshevik Central Committee in particular, Zinoviev and Kamenev, counseled patience, proposing to wait for elections to the Constituent Assembly, or at least the planned meeting of the Second Congress of Soviets. They argued that by using the elections and by relying on their majority in the Soviets the Bolsheviks could seize power gradually and peacefully without resorting to arms. Frustrated by these objections, Lenin, on 10 October, returned incognito to the capital to attend a Central Committee meeting that was to consider the issue of the insurrection. 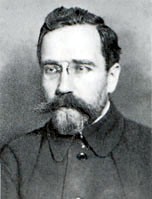 His ferocious argumentation succeeded in sweeping aside the hesitations of his comrades and persuading the Bolshevik Central Committee to adopt his line for an immediate armed uprising. However, their decision was not unanimous, as Kamenev and Zinoviev still voted against and publicized the fact in the press. Their behavior showed that, despite his prestige, Lenin’s authority was by no means absolute. By the middle of October, the Bolsheviks had established their firm control over the Petrograd Soviet. 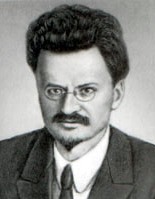 Its newly elected chairman was Lev Trotsky, a Bolshevik leader whose standing in the Party was by now second only to that of Lenin. A maverick Marxist, Trotsky had finally joined the Bolshevik party in July. Together with Lenin they made a formidable team of the two most determined and possibly most brilliant Russian revolutionary leaders totally committed to an immediate overthrow of capitalism. On 12 October the Petrograd Soviet elected a Military-Revolutionary Committee (MRC), nominally to defend Petrograd against counter-revolution and a possible German assault. Its real task, however, was to plan the armed insurrection. The MRC was dominated by Bolsheviks, but also contained some radical Socialist-Revolutionaries who supported the plan of deposing the Provisional Government by force. The Mensheviks and the majority of the Socialist-Revolutionaries, however, were strongly against the Bolshevik plan and refused to join. Led by Trotsky, the MRC coordinated the activities of the pro-Bolshevik troops and detachments of the ‘Red Guards’ (a part-time militia formed mainly from younger factory workers) on the eve and during the Bolshevik take-over. It asserted its military control over the capital by appointing commissars, or representatives, to all military units of the Petrograd garrison. These persuaded most units to obey them rather than the Provisional Government and thus effectively deprived the Provisional Government of its control over the troops.